Apex 1/4'' hex power drive Torx bits, with finders sleeves from Apex Fastener Tools, formally Cooper Tools. A finder sleeve makes it easy to engage slotted fasteners with the bit. A finder sleeve guides the bit so there is less ''searching'' for the proper alignment between blade and slot. Torx fasteners are becoming extremely common in automotive repair and appliance assembly. By design, Torx head screws resist cam-out better than Phillips head or Slotted head screws. Where Phillips heads were designed to cause the driver to cam-out, to prevent over tightening, Torx heads were designed to prevent cam-out. 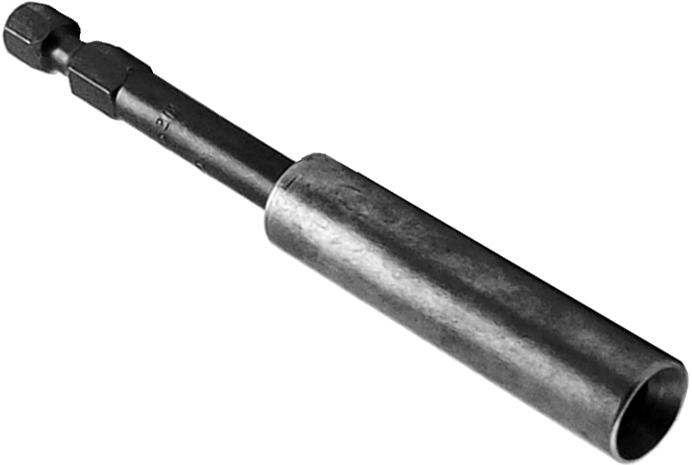 The reason for this was the development of better torque-limiting automatic screwdrivers for use in factories. The M-32-TX-15 1/4'' Apex Brand Torx Power Drive Bits With Finder Sleeves is one of thousands of quality tooling products available from MRO Tools. Please browse Apex 1/4'' Torx Hex Power Drive Bits With Finder Sleeves for tools similar to the M-32-TX-15 1/4'' Apex Brand Torx Power Drive Bits With Finder Sleeves. M-32-TX-15 1/4'' Apex Brand Torx Power Drive Bits With Finder Sleeves description summary: 1/4'' Apex brand hex power drive Torx bits, with finder sleeves. driver size: T-15 major diameter: 0.128 body diameter (in./mm): .437/ 12.1mm overall length (in./mm): 3 1/2''/ 89mm Quantity discounts may be available for the M-32-TX-15 1/4'' Apex Brand Torx Power Drive Bits With Finder Sleeves. Please contact MRO Tools for details.